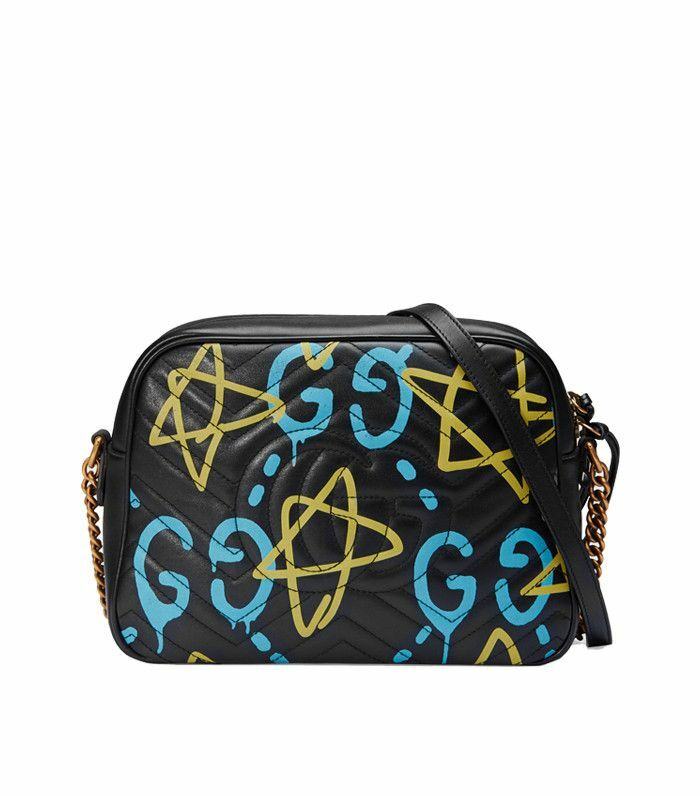 Gucci x GucciGhost is perhaps the coolest collaboration to appear on the runway this past year. And while the partnership between Alessandro Michele and graffiti artist Trevor Andrew certainly was met with tons of enthusiasm during Milan Fashion Week last February, we can now remember that same rush as the collection is officially—and finally—available to purchase today. Despite the shared names, the pairing of a storied fashion house and a graffiti artist might not be the most expected. And that’s exactly why we’re fans. After all, a partnership that’s able to preserve the legacy of a brand like Gucci while also infusing it with modern, irreverent, less-mainstream culture lands high on our list. Shop some of our favorite pieces from the Gucci x GucciGhost collab that are bound to sell out soon. Go ahead: Shop even more standout Gucci gems.